This area of our practice focuses on U.S. Social Security matters and U.S. tax matters as they relate to non-resident aliens and resident alien individuals. Under special Social Security treaties that the United States maintains with 21 countries (aka Totalization Agreements), the United States grants particular benefits and privileges to "residents" of the treaty country provided that certain criteria are met. These international Totalization Agreements can significantly benefit a non-U.S. individual if he/she has worked either as an employee, or was self-employed, in the United States for at least 1.5 years and less than 10 years in total. Our tax practice also includes the preparation of U.S. and State tax returns on behalf of Individuals, Corporations, Partnerships, Limited Liability entities and Trusts. In addition to compliance, our tax practice specializes in complex planning ideas to minimize a taxpayer’s income tax and estate tax liability. If you live outside of the U.S. telephone inquiries to the U.S. Social Security Administration should be directed to the appropriate phone number at this location: International Operations-Contact Us by Phone. If you wish to contact the Law Offices of Gonzalez & Goetz, please call 1-954-764-8989. If you have questions about international Social Security agreements, call the Social Security Administration's Office of International Programs at (410) 965-3322 or (410) 965-7306. However, please do not call these numbers if you wish to inquire about an individual benefit claim. The Social Security Administration also publishes small brochures which concisely describe the terms of each totalization agreement. These brochures are available from many local Social Security offices, or may be ordered from the following toll-free number: 1-800-772-1213. In addition, the complete text of these brochures and of the totalization agreements themselves are available on the Social Security Administration's Website. Any alien who wishes to claim an exemption from U.S. Social Security taxes and Medicare taxes because of a totalization agreement must secure a Certificate of Coverage from the social security agency of his home country and present such Certificate of Coverage to his employer in the United States, according to the procedures set forth in Revenue Procedures 80-56, 84-54, and Revenue Ruling 92-9. An alternate procedure is provided in these revenue procedures for an alien who is unable to secure a Certificate of Coverage from his home country. David B. Goetz is an attorney and certified public accountant. Upon graduating from Syracuse University in 1988, he began his career as an auditor for Ernst & Young in New York City and received his certified public accountant license in New York and Florida. 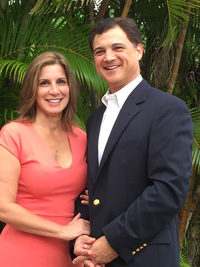 After obtaining his law degree in 1993 from Temple University, Mr. Goetz then worked for Deloitte & Touche LLP in Miami as a tax manager and became a member of the Florida Bar. While there he specialized in international tax consulting for multi-national corporations and non-resident and resident alien individuals, who had investments and business activities in the United States. While practicing at Deloitte, Mr. Goetz obtained a Masters of Law degree (LL.M.) in 1998 from the University of Miami with an emphasis in international and U.S. income taxation. Available 24-hours a day to answer your questions and concerns. © Copyright 2010 - 2016 Gonzalez & Goetz, LLC. All Rights Reserved. Website design by Agrotising.